Detect leaking rods in spent nuclear fuel without disassembling fuel assembly. 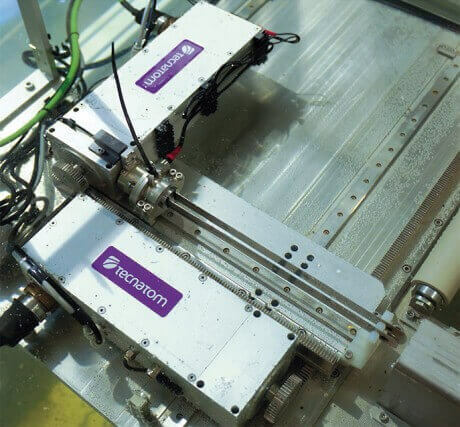 Tecnatom and Enusa, within their line of SICOM products, provide the SICOM-UT ultrasonic inspection system, built of components tolerant to high radiation, proved in different NPP, and adaptable to different types of nuclear fuel. SICOM-UT integrates state of the art technologies in UT hardware (SONIA), acquisition and specialized analysis software (INSPECTVIEW + SICOM UT plug-in), and specific ultrasonic probes. Detection of leaking rods by presence on water into the fuel rods without disassembling fuel assembly (FA). Equipment placed on three empty racks. Location structure based on two adjacent rack cells. Shielded High radiation camera for monitoring and setting up purposes. Transducers endure and qualified for high radiation. Redundant reedition and retest capabilities. Axis encoder and motorized motion. Specific InspectView Acquisition and Analysis Software. 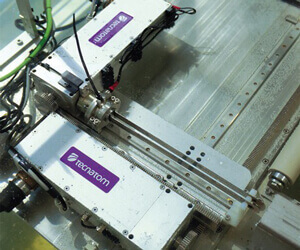 Part of SICOM range for Fuel Assembly. Operational experience in Nuclear Power Plants.